Will factories and stores give way to custom-printed merchandise? A new player may be ready to revolutionize manufacturing and change the way businesses make products and people get them. 3-D printing has the potential to make different products available and to allow businesses to customize products to their exact specifications. 3-D printing/additive manufacturing uses materials like plastic and metal to construct parts of products in tiny layers, enabling the printing of even products with multiple parts to be completed already assembled. If 3-D printing can be widely used, it will have profound effects on the supply chain. The widespread use of 3-D printing will mean that instead of going to a store to buy a mass-produced item, it may be possible to print one in your own home, or to have it printed for you just the way you want it. Instead of ordering or buying an item that is made in a factory, you may instead order printer software or plans that will be needed for the printer to create your item. At this point, there are a few difficulties with 3-D printing that make such a reality unlikely. Many 3-D-printed items are of inferior quality to the items available elsewhere, and 3-D printers are still so expensive that most people can’t easily afford to own one. Businesses may be able to invest in these printers, but mass production can still be done much cheaper right now. 3-D printers are versatile in the things they can print and create. The normal progression of things suggests that future generations of printers will improve in quality and simultaneously come down in price. 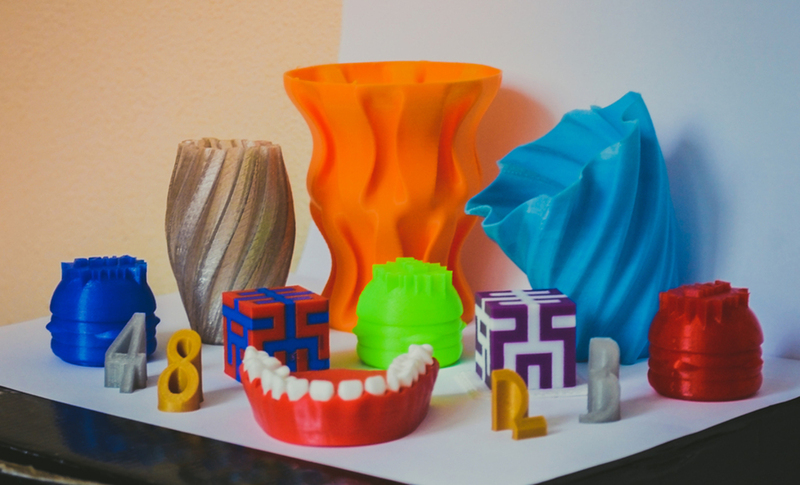 Within a few years, conditions should be right for 3-D printers to create products of similar or even better quality, at a similar or even better price than other items on the market. The current logistics management scenario of factories, fleets of trucks, warehouses, and retail locations may give way to buying raw materials and software plans, then printing items on location, either at a company location or at home. Warehouses may house raw materials, and trucks may still be needed to bring those materials to the printer’s location, but factories and retail locations may be shuttered in this new reality. At this point, there look to be some logistical differences between 3-D-printed items that may further impact the supply chain. Most 3-D-printed items are made without creating the waste products that are typical in mass production. This means cleanup and disposal will not be needed, which will cut down on the costs of making items. Furthermore, many 3-D-printed items can be made much lighter than traditionally manufactured items, which can impact usage and the overall weight of the finished product. Florida Tech offers a logistics management degree that helps students understand current and future trends and realities in logistics. Learn more about our Logistics Management program today!